Why is the Municipal Development Plan important? Who is leading the Process? 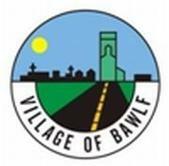 Village of Bawlf Council is leading the process with assistance from Village Administration and ISL Engineering Services. As the steering committee for the process, Council will review materials and provide direction throughout the process. This includes collecting public input and selecting approaches that will serve the community well into the future.